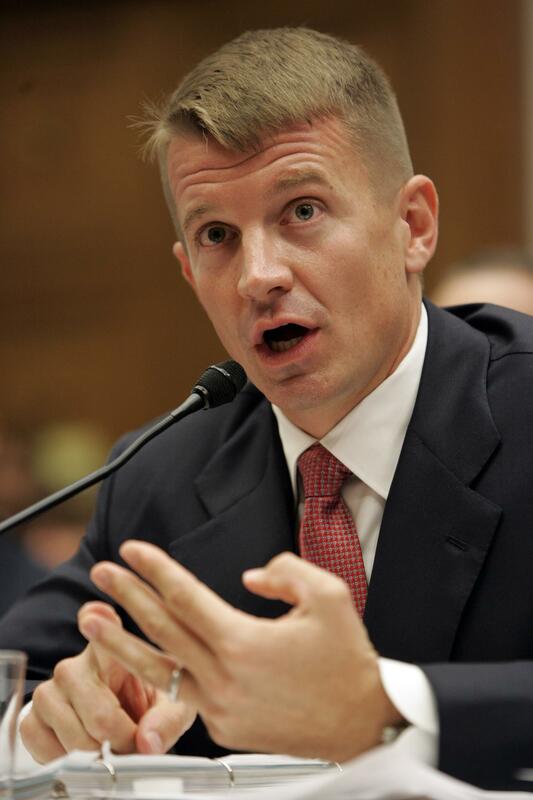 UPDATED: Sun., Oct. 8, 2017, 10:01 p.m.
Erik Prince, a former Navy SEAL and founder of the Blackwater security contractor, is considering a run for the U.S. Senate in Wyoming after being encouraged to enter politics by Stephen K. Bannon, President Donald Trump’s former chief strategist, according to a report in the New York Times. Prince’s candidacy would continue an insurgency bubbling up in the GOP in the wake of Trump’s election. The Times reported that Prince traveled to Wyoming over the weekend to explore how to establish residency there and that he is interested in taking on Sen. John Barrasso, who has held the seat for a decade, in the Republican primary. Prince is an ardent Trump supporter whose sister, Betsy DeVos, serves as education secretary. Prince contributed $250,000 to Trump’s campaign, the national party and a pro-Trump super PAC led by Rebekah Mercer, a GOP donor. Prince is best known as the founder of Blackwater, the contractor that won tens of millions of dollars in contracts after the attacks of Sept. 11, 2001. In an incident in 2007, the company’s guards were accused and later convicted of killing civilians in Baghdad’s Nisour Square. Prince sold his stake in Blackwater, but he is still involved with military contracting through a Hong Kong-based company, Frontier Services Group. Earlier this year, he argued that the Trump administration should increasingly rely on contractors in Afghanistan – though that plan was opposed by top defense officials. Published: Oct. 8, 2017, 9:33 a.m. Updated: Oct. 8, 2017, 10:01 p.m.